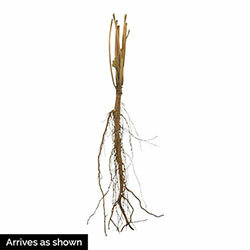 Foliage Type: 5-7 lobed, large rounded, dull green leaves. Flower Form: Crepe- textured double flowers borne singly on tall stalks. Additional Information: Watch for Japanese Beetles in summer months. 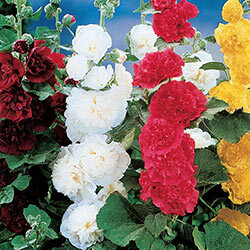 Hollyhocks can be planted under Black Walnut trees.